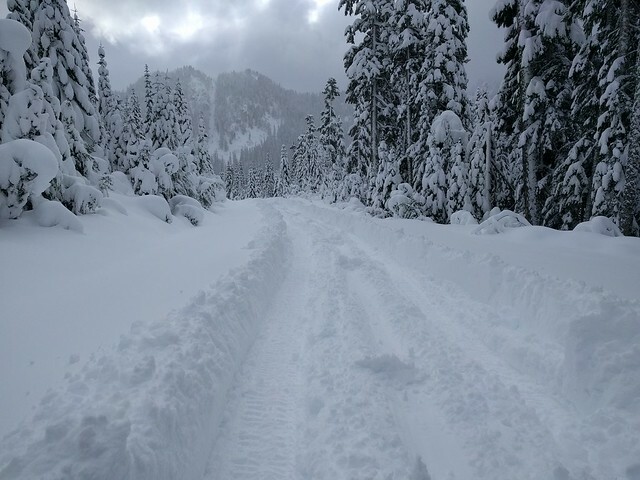 Saturday went up NF-2435 out of Darrington to 4700ft. Rutted just about all the way up with some new snow on top. Could only break trail by ramming where not in the ruts. 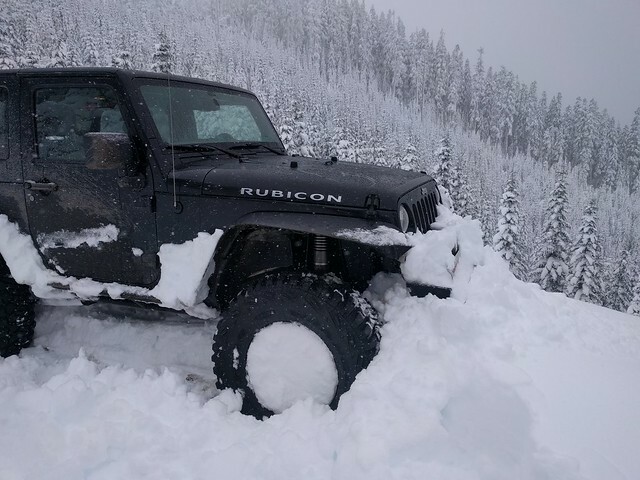 Snow was too heavy to crawl it. Went snowshoeing towards Whitechuck Mountain. Sunday went to Hyak. Rutted almost to the PCT crossing. 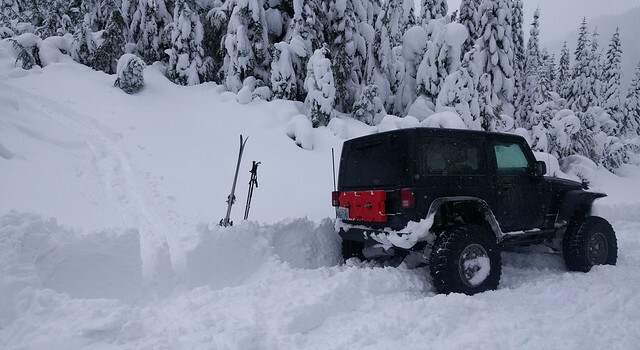 Again could only proceed by ramming the snowpack which made a wall 4-5 feet high. 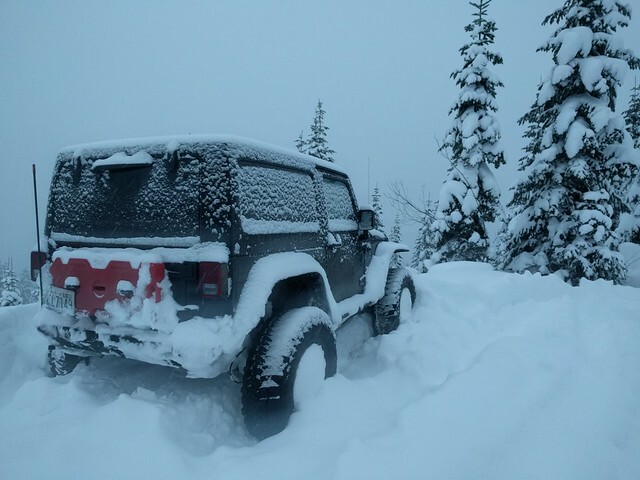 Couldn't keep the Jeep cool with the radiator covered in snow after each go. Stopped and skied up Mt. Catherine.